New for the Honda CBR1000RR Fireblade! 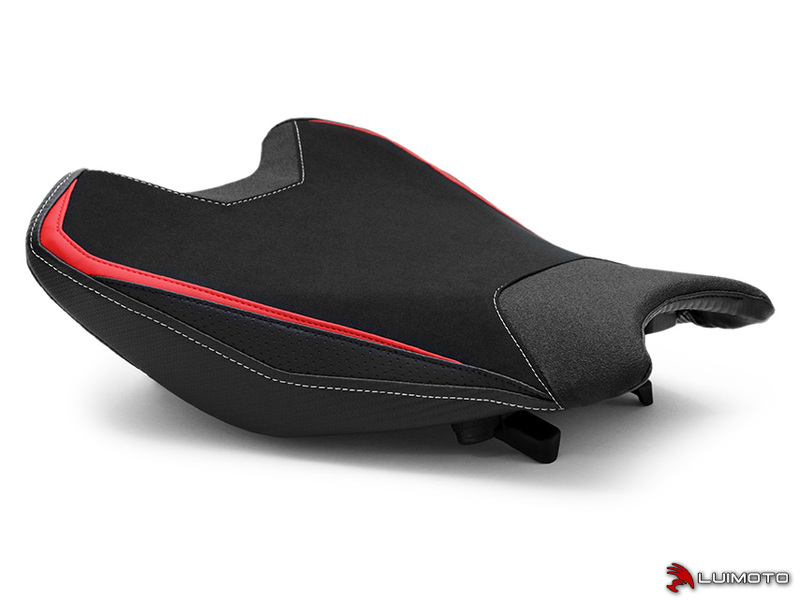 The Styleline Seat Cover was designed upon emotions of speed and aggressiveness. Featuring Tec-grip pads front and back, carbon fiber look marine grade vinyl, perforated look black vinyl, and contrast stitching. The riding surface is finished in luxurious synthetic suede and contoured with aggressive stripes to complete the race look. This is the finishing touch of Luimoto! New for the Honda CBR1000RR Fireblade! 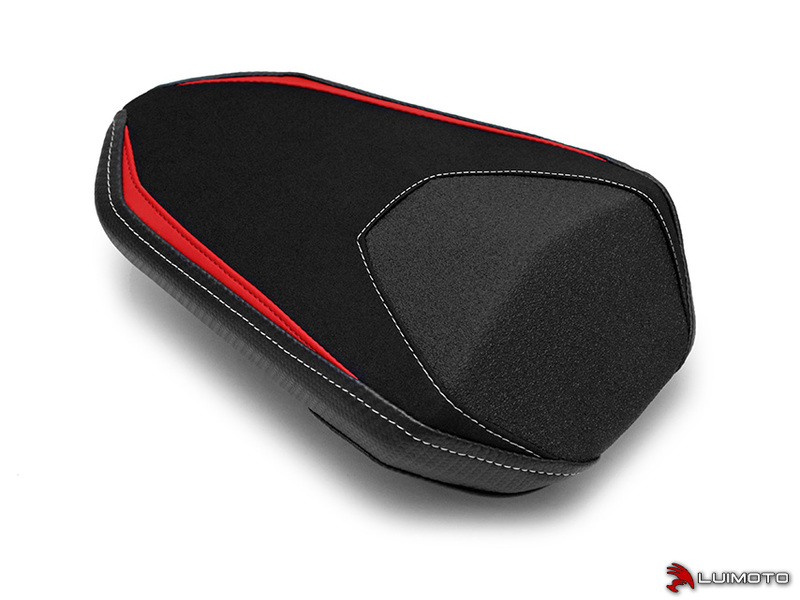 The Styleline Seat Cover was designed upon emotions of speed and aggressiveness. Featuring a Tec-grip front pad, carbon fiber look marine grade vinyl, and contrast stitching. The riding surface is finished in luxurious synthetic suede and contoured with aggressive stripes to complete the race look. This is the finishing touch of Luimoto!